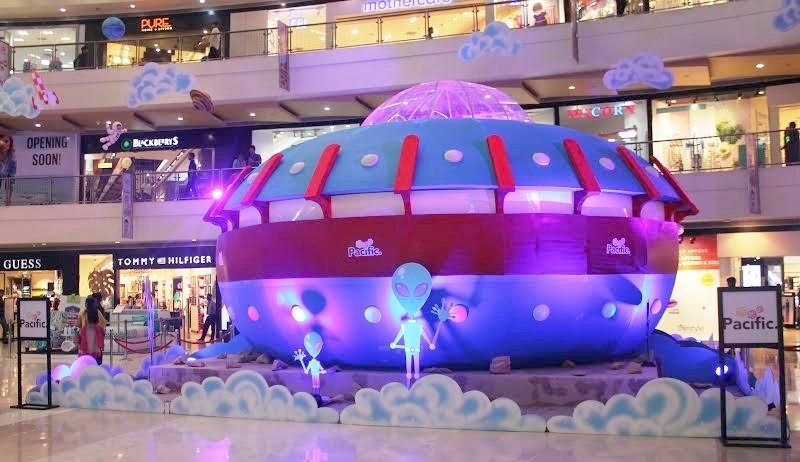 A huge decorated spaceship (32 ft x32 ft) with a cosmic themed classroom inside marked the unveiling of Delhi’s premium shopping, entertainment and leisure destination Pacific Mall, Tagore Garden’s exciting ‘Planet Pacific’ Kids Summer Festival. The four week festival marking the onset of the holiday season was kick-started with an exclusive preview for 45 differently abled kids from the Capital’s “Chahat Special School.” Pacific Mall which hosts more than 130 National and International brands under one roof is expecting15% growth in footfalls during the ongoing festival. The popular Summer Workshops conducted annually by Pacific Mall are completely free and parents can register their children to participate in any of the 12 activities listed in the summer program. The ‘Pacific Space Ship’ will take kids on a fun-filled, educational and exciting journey giving the children an opportunity to indulge in a variety of activities like Art and Craft workshops, Theatre Workshop, Hobby Classes like Ice-cream making, Science-Cosmic Classroom, Table Etiquettes, Dance Classes, Paper Crafts, Painting, Fancy Dress Competitions, Fashion Shows etc. Classes will be conducted in six batches from 12.00 noon – 8.00 pm daily. Each timeslot of the ‘Planet Pacific’ summer camp will have a different theme to enable kids to participate in and experience a range of interesting activities and topics. Parents can choose to book weekly or the entire workshops for a particular theme. Unveiling the “Planet Pacific’ Summer Camp, Mr. Abhishek Bansal, Executive Director, Pacific Mall said: “Every parent endeavours to provide their children with the best of opportunities that will help them evolve and become more confident and assertive in life. Our Summer Camp is popular with parents and kids alike because it gives them an opportunity to have learning and fun while enjoying their summer holidays. The different activities have been tailored to aid learning, talent development, interactive and communication skills. Additionally, such summer events allow us to maximise footfall in our Malls which in turn can aid sales by upto10%.” “Chahat Special School” is one of New Delhi’s premier institutes providing comprehensive education, vocational training and work opportunities to young people who are differently challenged. Present at the workshop Jaswinder, Principal from Chahat expressed, “We are very grateful to Pacific Mall for providing this opportunity to our kids. We are constantly looking for opportunities and avenues in an attempt to make world beautiful for special kids. These kids are as active, energetic, full of life and eager to interact with everyone, all that is required is a bit of understanding and support from the society” Pacific Mall has been successfully conducting free Summer Camps for Kids for the past 5 years and is very popular among both parents and children alike giving the children an access to a wide range of carefully selected activities to keep them entertained and stimulated during the summer holidays. Last year around 2800 kids attended the Summer Camp at the Mall. if you know Pacific Mall is the premium shopping, entertainment and leisure destination hosting more than 130 National and International Brands in the country. The Mall is a part of Pacific India, country’s reputed business group with presence in real estate, hospitality and education verticals Situated at Tagore Garden with 5.5 lakh sq. ft of total area, shopping never goes out of fashion at Pacific Mall, as it is a shopping, entertainment and leisure extravaganza 365 days a year! 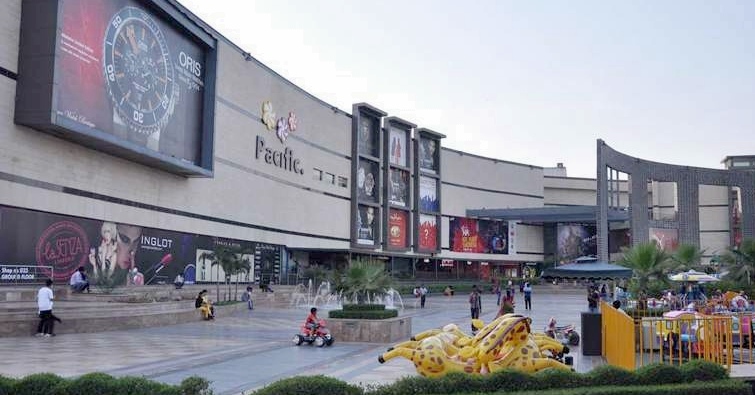 Pacific is a renowned landmark of India’s shopping capital and it showcases a huge infrastructure combined with state of the art facility and customer friendly service in order to give a world class experience and provide better space and visibility for the retailers and free flow for shoppers.